Link Global Management can provide a full range of payroll services in Finland. The individual will be engaged on our payroll and income is paid in the form of salary, allowances and expenses, the proportion of each part depending on individual circumstances. Link Global Management will discuss your personal circumstances with you and help you to minimise your tax and social security liabilities, within the boundaries of Finnish legislation. Income is managed tax efficiently, not just in Finland but also in any other country where there may be a liability. A tax return is filed each year in Finland with advice and assistance from Link Global Management who will also provide help with filing tax returns elsewhere, if required. Individuals resident in Finland are taxed on their worldwide income. However, salary earned abroad is exempt from tax in Finland if a Finnish resident works abroad continuously for at least six months and satisfies certain other requirements. Nonresident individuals are subject to income tax on income from Finnish sources only. Domestic law treats an individuaI as resident if his or her permanent home is in Finland or if he or she stays in Finland a continuous period of more than six months. The stay in Finland may be regarded as continuous even in the event of a temporary absence (up to two months) from the country. In the case of emigration, foreign citizens become nonresidents for Finnish tax purposes at the time they leave the country and surrender their permanent home in Finland. 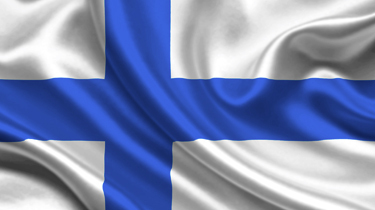 With respect to a Finnish citizen, he or she is still considered to be resident in Finland until three years have passed from the end of the year when the individual left the country, unless he or she can establish that no essential connections with Finland have been maintained. Under a special expatriate tax regime, qualifying expatriates may elect to be taxed on their salary income at a rate of 35% for a period of up to 48 months, instead of at the normal progressive income tax rates. Thinking of contracting in Finland?